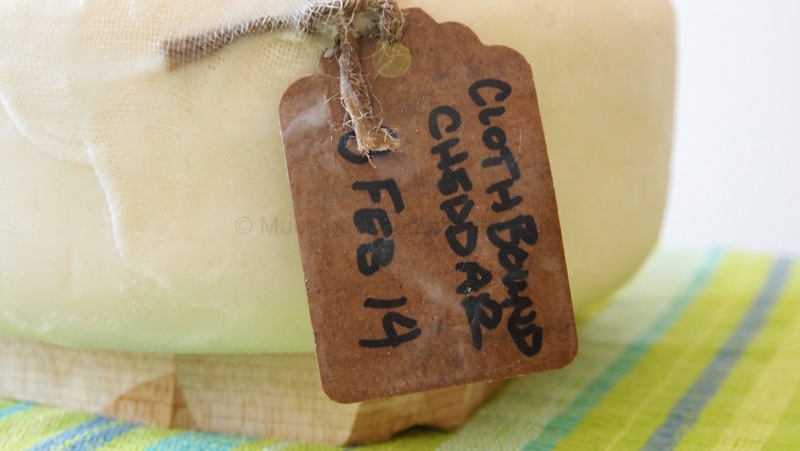 A few weeks ago I made my first Clothbound Cheddar and I mentioned that I would post weekly updates to show the flora growth on the bandaging. I am happy to say that it is finally showing signs of life. 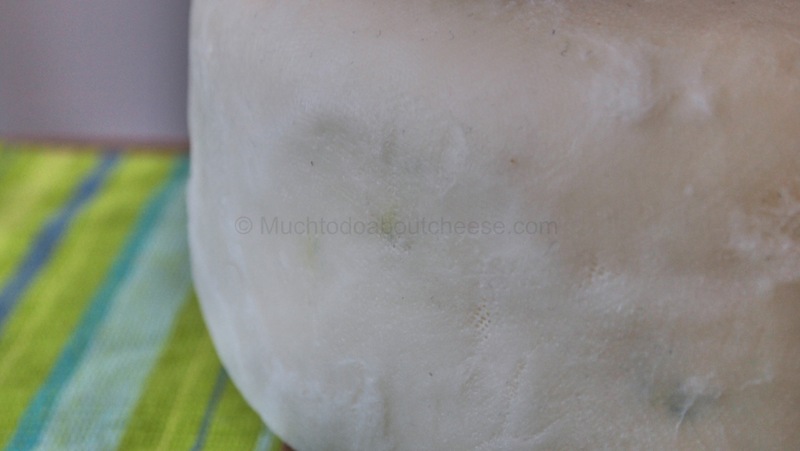 The outer layer of lard is starting to dry and you can see some of the flecks of green and blue starting to show. My little beauty is now 16 days old and starting to show some life. 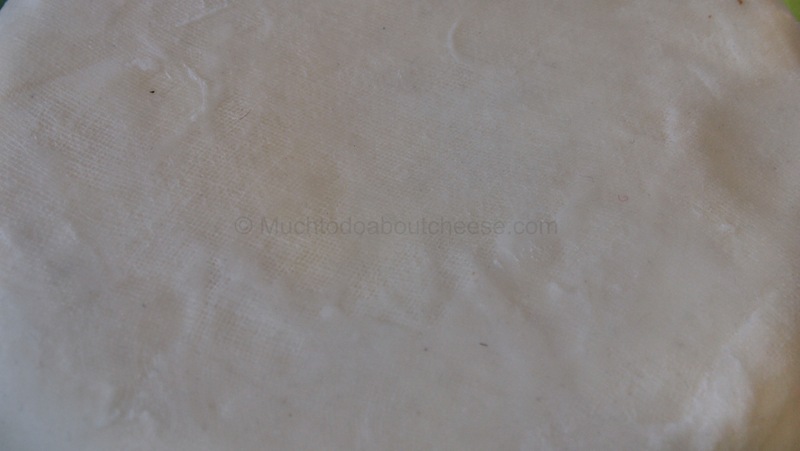 This is the “top” of the cheese you can see a few fleck on it, they are from the cutting board. 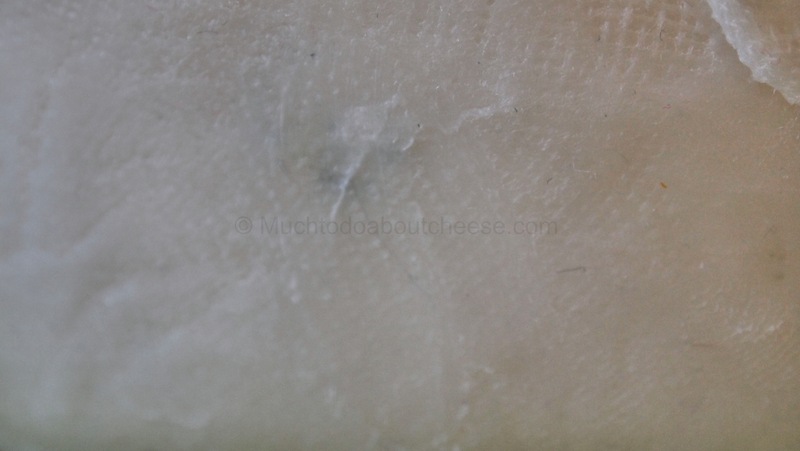 There are two layers of bandaging on the sides, but the top and bottom have three. I am not concerned about a little dust on it. 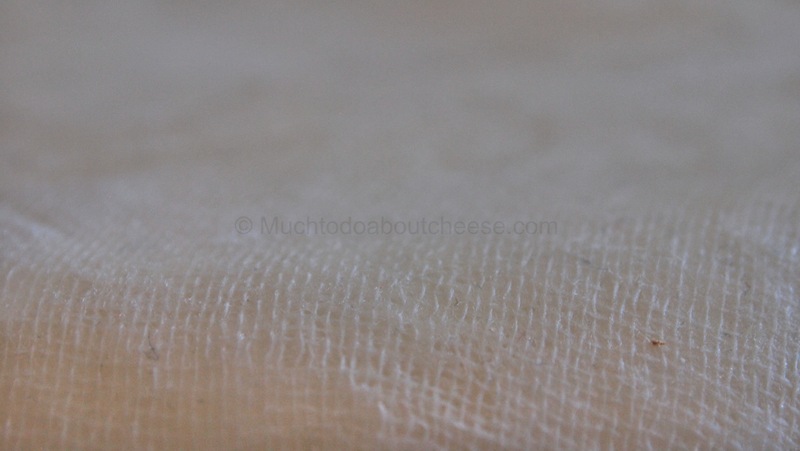 Another top shot, this time it looks like a little linens have taken root on the cloth. It could be the light though. 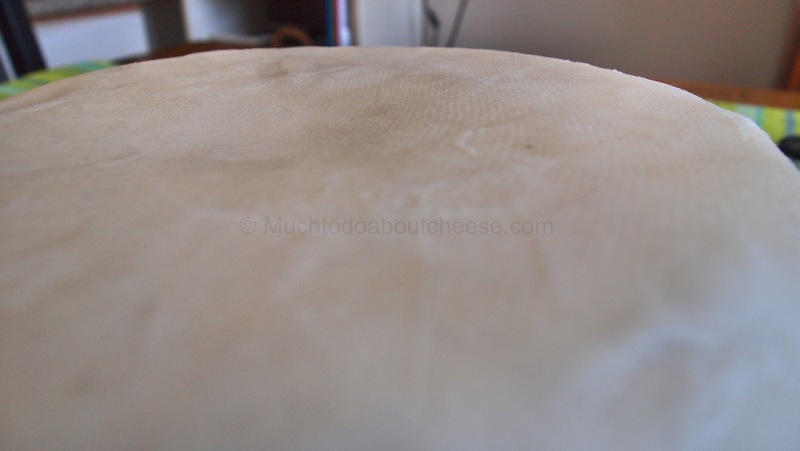 To say that I am impatient is an understatement, but after taking a good look at the cheese I was happy to see some green and blue starting to appear in the cloth. Here you can see the first signs of some blue developing. Now here is some sections that are turning green with envy, or just with some flora. Here you can see some flecks at the bottom. Eventually when the flora, a nice way of saying mould, will spread over the cloth and then dry out. When this happens I will be able to brush the cloth to keep it under control, but until then it will run wild. I am concerned that the tag will fall off over time. If that is the only thing that happens I am fine with it. There are more pictures of the mould spots and they will be up on the Facebook Page later in the week. 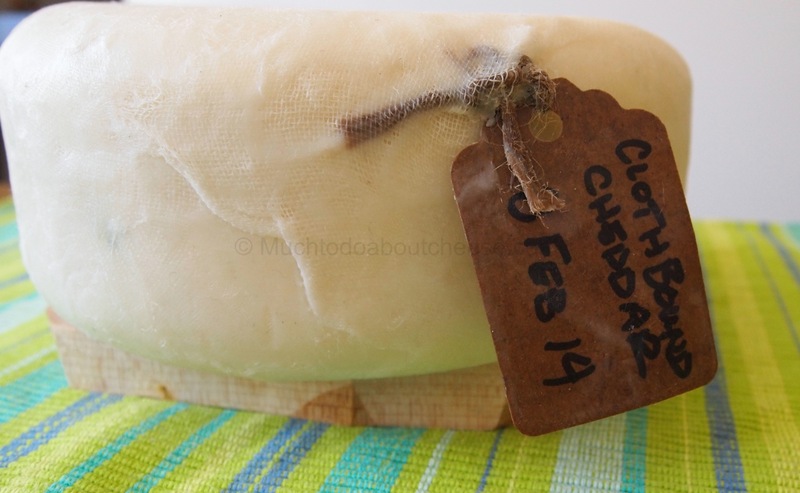 Urgh, not sure I could handle making this cheese with all that mould. 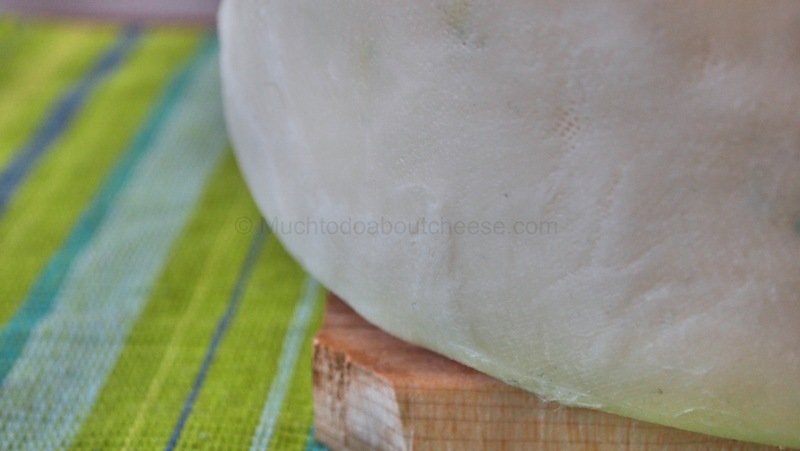 With a lifelong allergy to penicillin (I can eat fairly fresh camemberts and bries but not the veined mould cheeses) I have also developed an intolerance of it in that I can’t stand the smell of it either. Brushing the mould off is just about my worst nightmare, although I am very curious to see how it all turns out. 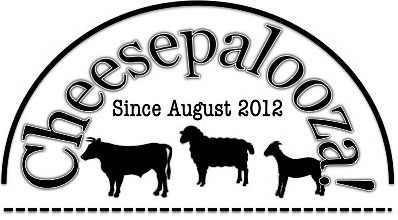 When I was working at Smoky Valley we had some cheeses that we aged longer and let the rinds go wild. Cleaning them was a bit of a challenge. The mould dust was everywhere during the cleaning. I regret not wearing a mask a few times. I am hoping that the bandaging does its job, I have had a few people tell me of their experiences with them loosening. Part of me wants to vacuum seal it, but I settled for a ripening box instead.